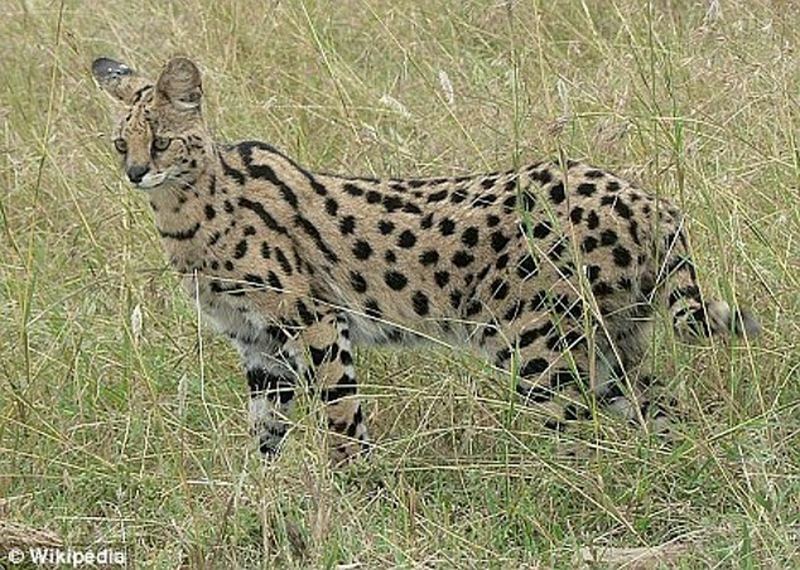 Trouble (Trouble) - the largest cat in the world - a hybrid of African wild serval and a domestic cat, but the docile and playful as a kitten. 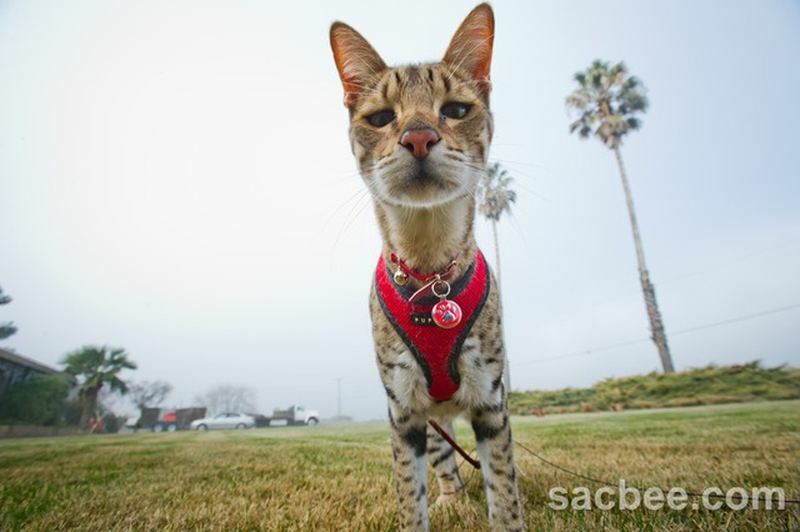 When Trouble is (its name translates as "bad"), it is hard to miss, since living in Sacramento (Sacramento), California cat height at the withers 19 inches. Mistress Debbie Maraspina Trouble (Debby Maraspina) took him three years ago, and I am glad that her cat has become famous. 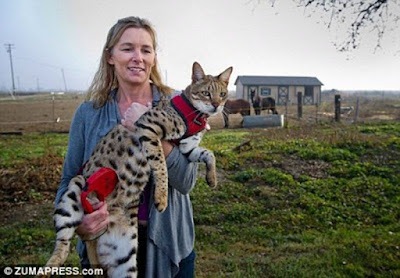 She was proud of her cat, listed in the Guinness Book of Records. 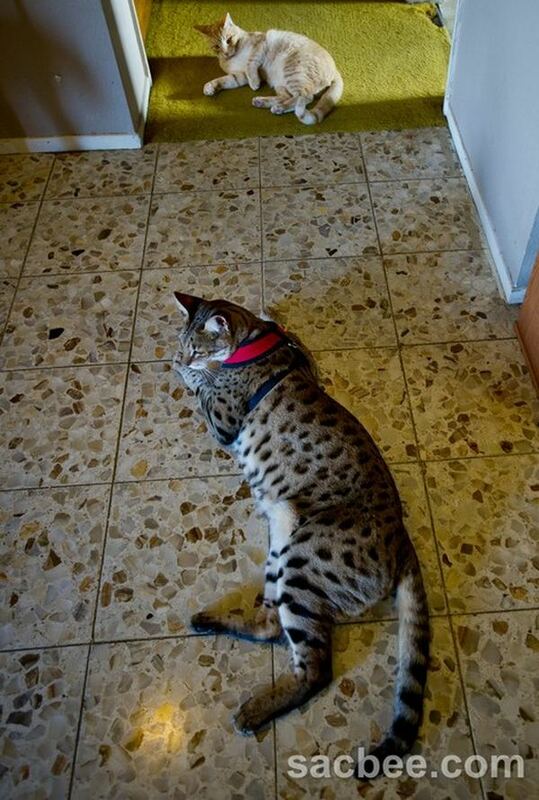 He was able to surpass the previous record of an inch. 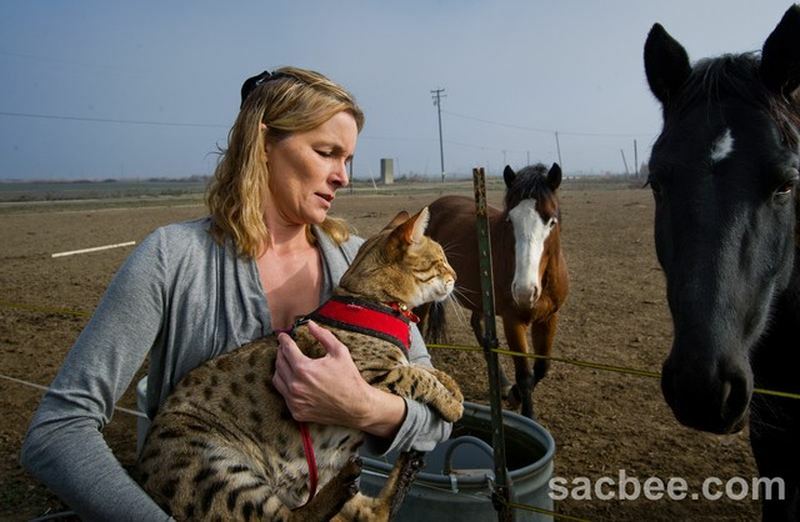 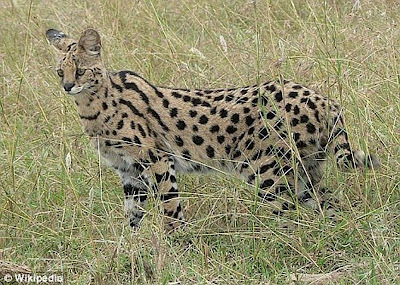 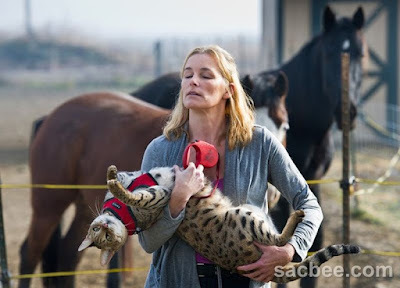 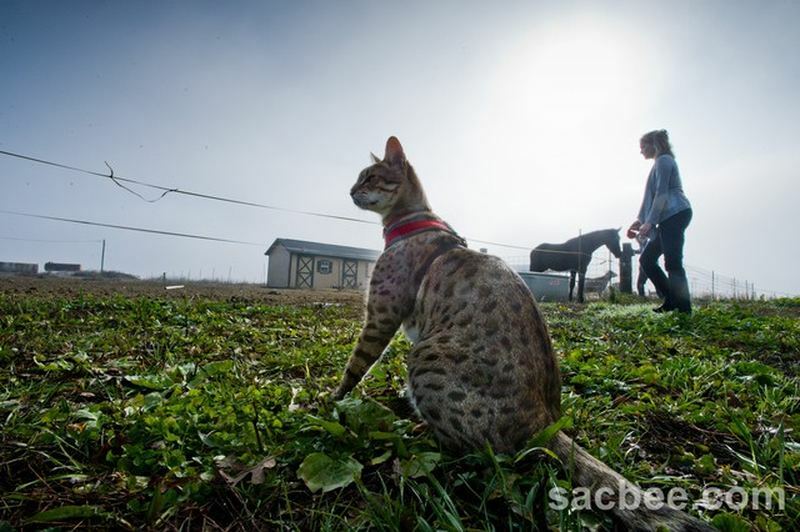 Hybrid domestic cat and African serval is savanna, but the growth Trouble is amazing, even for his breed. 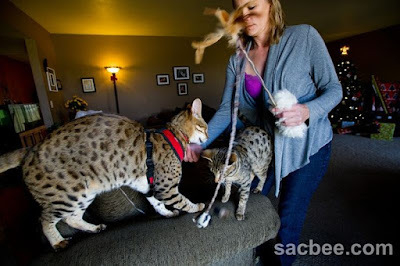 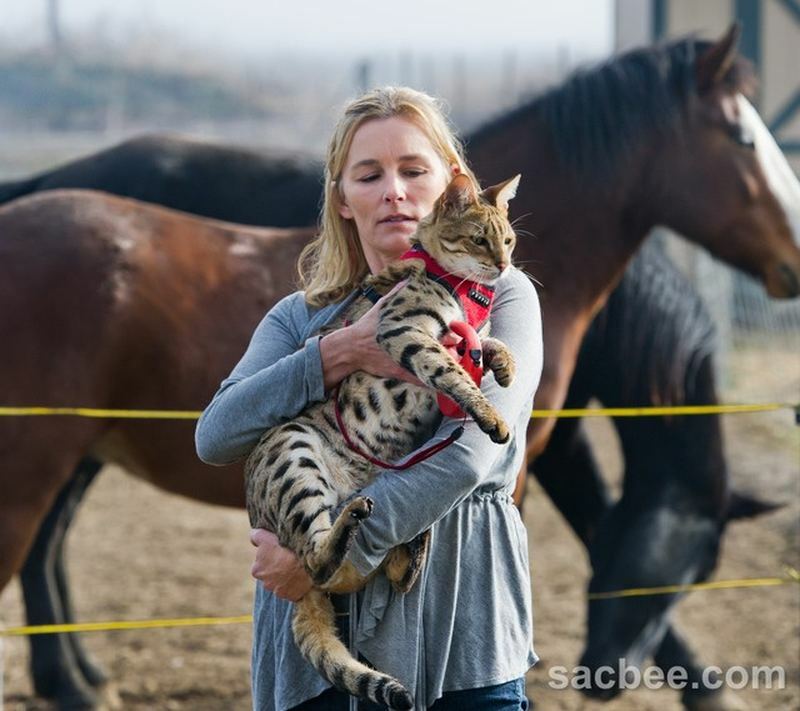 Ms. Maraspina said "Sacramento Bee", she really did not think that her cat is the highest, while one who owns the longest cat in the world, invited her to measure it at Cat Show in Reno (Reno). 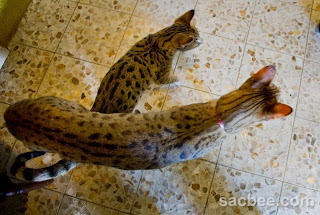 The process of registration and confirmation of the Guinness record as the highest Trouble cat in the world was long. We had to get a vet and document measurement of the height of the cat, as well as photos and video. 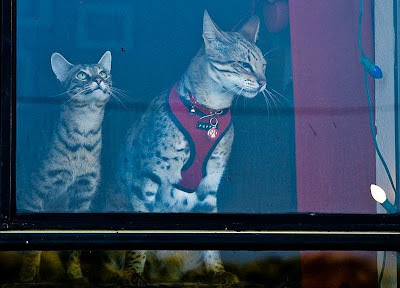 Once all documents have been sent, she received a call in November from London. The news was good: the new cat is the highest in the world surpassed the previous record holder around an inch. Despite its size, Trouble weighs only 20 pounds. 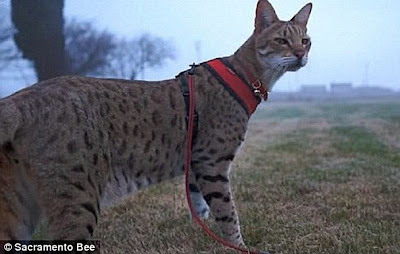 And the husband of Mrs. Maraspiny John (John) said: "It picky eating habits and turn up one's nose to the usual cat food but likes rabbit meat and beef. In addition, the Trouble is spoiled. "He's waiting for me: I should eat it warm and cut into pieces, releasing from the bones" - clarified Ms. Maraspina. 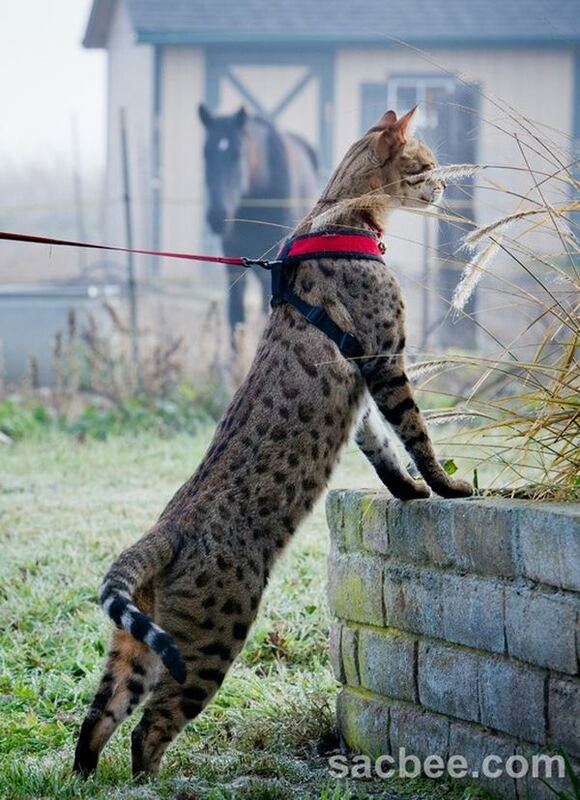 Savannah has been recognized as a breed, only ten years ago, although there was to it for more than 15 years.